Now you can have breakfast 'round the clock with our scrumptious Waffle Cologne. A crisp golden waffle, smothered in butter, and then topped with maple syrup. Is your mouth watering yet? 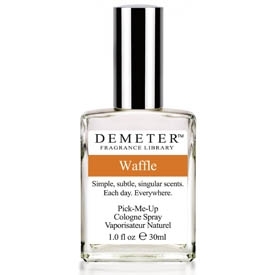 This sweet Waffle scent will make you want to eat breakfast for three meals a day. Leggo my Eggo and let go of my Waffle Cologne! Well, maybe we can make a fair trade and swap one out for the other. Whether it's home made from scratch or frozen, Waffles are always a delicious treat!